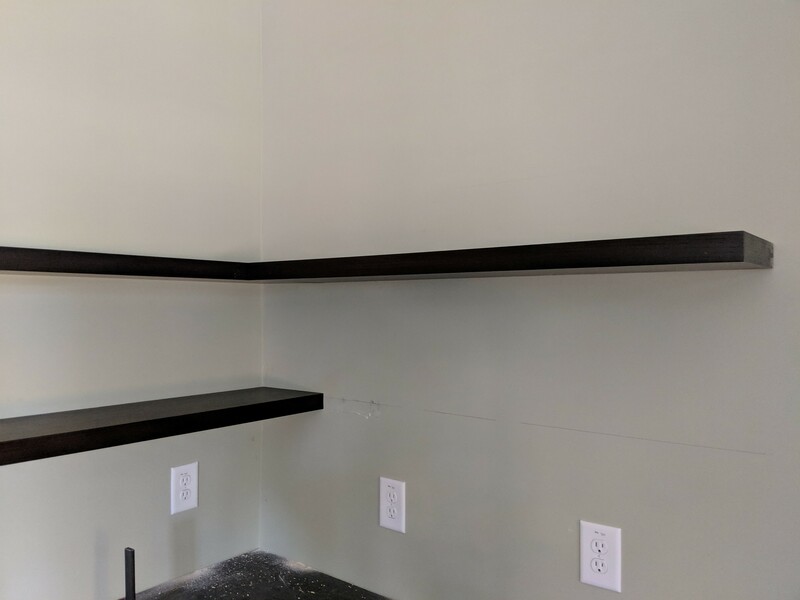 From time to time the question comes up: Can we make floating shelves that fit into a corner? We can make any of our wood shelves to assemble to an L-shape. We prepare shelves to attach to each other by a cleat that attaches to the face edge of the first shelf which then fits into a keyway of the second shelf. To order shelves prepared in this way please specify in the order notes “Loose cleat one end” There is no additional charge for this customization.